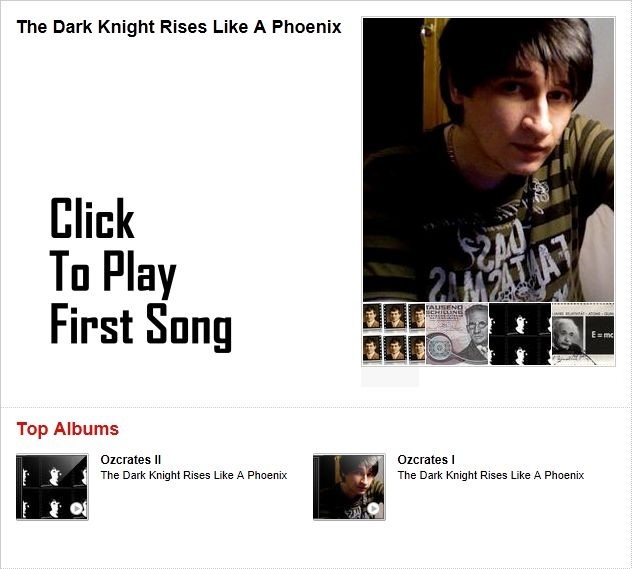 Derived from the movie "The Dark Knight Rises" Oliver Zdravkovic's band became the name "THE DARK KNIGHT RISES LIKE A PHOENIX" because the founder is a very big fan of Christopher Nolan's work. The band was created to sell instrumental songs with addable lyrics to artists which are interested to publish the songs under their own name. Contact me.